London's iconic Earls Court Exhibition Centre could close after the 2012 Olympics as part of a proposed redevelopment of West London. The boroughs of Hammersmith & Fulham and Kensington & Chelsea are considering proposals to develop the area as part of a plan to offer more jobs and homes. The Mayor of London Boris Johnson is also involved in the consultation. No specific time frame is yet in place, though if approved, work would start after the 2012 Olympic Volleyball tournament, which is set to be hosted at the venues. It would mean that regular events such as the The Ideal Home Exhibition and Confex - would need to find new homes. A series of drop-in sessions will take place next Tuesday 9th to discuss the plans at locations including Olympia Exhibition Centre and Earls Court. The development is being handled by Liberty International, Britain's third-biggest property company, which acquired a 50 per cent stake of the Earl's Court site in January, and has since created a new company, Capital & Counties (CAPCO), which will focus primarily on the development. The company has issued an early proposal to the mayor of London Boris Johnson, arguing that the site could accommodate 8,000 new homes and offices supporting 24,000 new jobs. The letter argued that Earls Court could be "reinvented " and "build on its well-known name and history as a place of discovery, innovation and play [to] become a contemporary destination". The regeneration area in question also includes two housing estates owned by the London Borough of Hammersmith & Fulham as well as the exhibition centres. Transport for London, which is a major land owner in the regeneration area, is also a major partner in the redevelopment process. Opened in 1937, Earl's Court is one of the most recognisable venues in London, and has hosted the likes of Pink Floyd and Led Zeppelin. 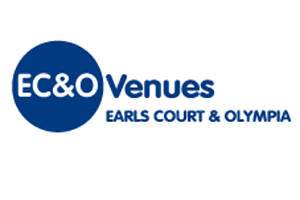 Considered in its twilight years, the venue has lost business in the past decades to rivals in the east of the city, including the O2 and the Excel centre.